The Shear Perfection® Platinum Series Stainless Steel Bonsai Scissor has a 1.5 in blade length. This scissor has additional length for the ultimate precision in tight and hard to reach spots. 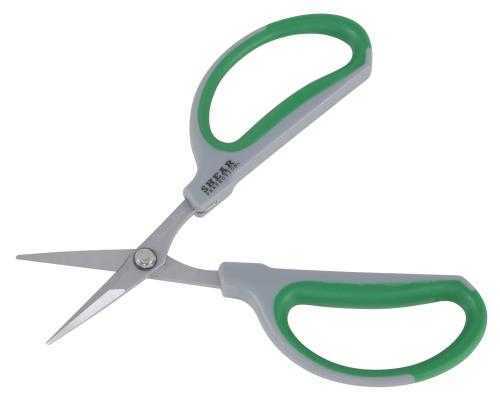 The scissor handle has a rubber grip that allows for comfort when trimming and pruning. The Bonsai Scissor can be used for right or left handed use. Overall length is 6 in.